Martin and his team at All-Pro of Kentucky want to help you achieve your dream home. Have you purchased a home that you love, but maybe the kitchen or bathroom needs updating? Or maybe you need a beautiful deck for your backyard or around your swimming pool. Give us a call for a Free Estimate. On the other hand, maybe you are wanting to sell your home. We want to help you get top dollar for your investment. Often a fresh coat of paint will greatly increase your home's curb appeal. And our remodeling services can help you at closing by getting your kitchen or bathroom up to date which often brings significant benefits to your selling price. In today's housing market do you have a house that needs constant maintenance? Does the lawn need mowing and upkeep? 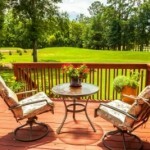 Do you need a deck completed or a room added? Our licensed and bonded staff can help ensure you receive a good selling price. Are you having trouble with maintenance upkeep? Do you need a reliable contractor to get the work completed in a quick and timely fashion? Do you need assistance with minor or major repairs? All-Pro of Kentucky can help you with any of your needs. 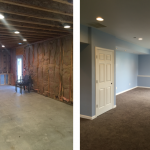 From painting to drywall to electrical work, we can help. Contact us today!